yes, love love love the white french door. Where do I buy it? Front porch slab material - What is the gray stone on porch and step? Looks like solid piece of some kind of stone....absolutely gorgeous! Hello please what is the paint colour of this house?? Where can I buy the exterior wall sconces? Is the front door custom? Love it! Is this a custom split level house? 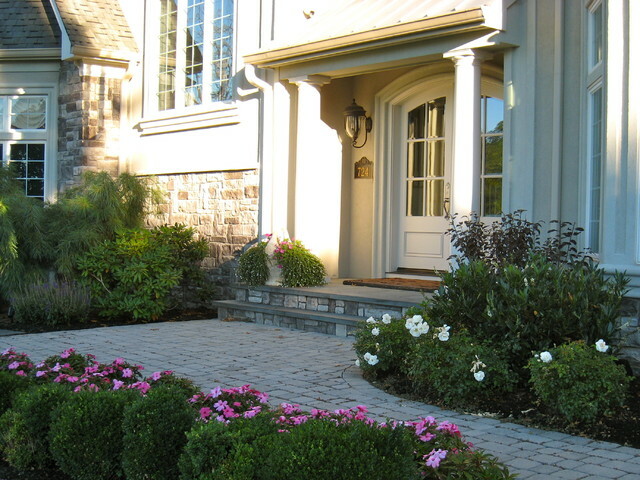 Pansies and zinnias can infuse color and life into your front walk. They are especially appealing for an easy way to add visual interest to a plain white or tan exterior.